If you have a new employee and you want to sit with them on some customer calls, you can connect two headsets to one phone and listen in. The right solution depends on whether you want corded headsets or wireless ones. 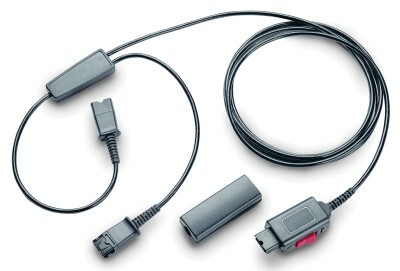 If you have corded Plantronics headsets that have the QuickDisconnect on the end of the cord (the black plastic pull apart rectangular piece that unsnaps in the middle between the straight cord and the curly cord), then all you need is the Plantronics Y Training cord. It is a cord in the shape of the letter Y with QuickDisconnect on all three ends. It allows you to snap two headsets onto one cord. Here’s the link to the Y-cord. If you have wireless headsets (or any corded headset that has a square modular plug on the end instead of the QuickDisconnect mentioned above), then you would instead need the headset training adapter. It gives you two modular jack openings to plug two headsets into one phone. Here’s the link to the training adapter. Both the Y-cord and the training adapter allow the supervisor or trainer to jump into the call if needed. 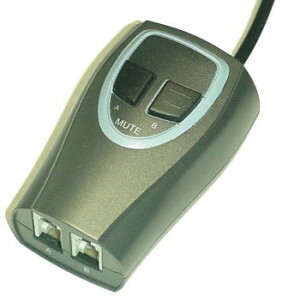 They control which headset has the open microphone to be heard by the customer. The supervisor can take over the call at the push of a button if things go awry.